Broadcast Barter Radio Networks (www.broadcastbarter.com) was launched in 2004 by co-founders Matt Dubiel and Mike Noonen, veterans of the media game. Located in Westmont (IL), they create, produce and syndicate/barter radio programming. About half the world�s population works in shadow economies. These people generally lack birth certificates, legal addresses, or deeds to their shacks and market stalls. In the underground economy, would-be entrepreneurs often face a tangle of bureaucratic requirements and high fees that discourage them from seeking legal status. As a result, these small-scale business owners cannot obtain legal loans, enforce contracts or develop their businesses beyond a narrow sphere. Without a strong legal identity, the world�s poor stand only a slim chance of improving their lot, reports the United Nations commission on poverty. Outplacement firm Challenger, Gray & Christmas Inc., report that since the start of the year more than 400,000 workers have lost their jobs at mortgage lending institutions. At the same time U.S. banks and thrifts suffered the biggest increase in late loan payments in 17 years, as more homeowners fell behind on mortgages in June, according to the Federal Deposit Insurance Corporation (FDIC). Clear Channel Communications says that miniature radio ads, spanning just a few seconds in length, are a hit in Hollywood. The blinks and adlets are slipped in between songs. Clear Channel launched the shorter ads in face of a slowing radio ad market. The Windjammer Cruises were built on barter...as owner Captain Mike Burke traded space on his ships for impressive 4-color ads in some of the most prestigious magazines in the late �70s and mid �80s. The cruise line is in the process of being purchased from a family trust by an investment company�TAG Virgin Islands. Meanwhile labor disputes (reportedly the crews haven�t been paid for months) with crew members have docked two of the four ships owned by the company, stranding some passengers in Costa Rica and Aruba. 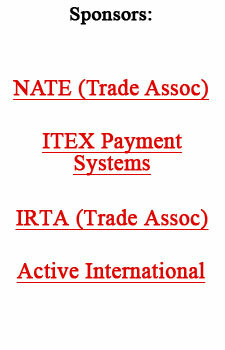 The special Corporate Barter Session at IRTA will be hosted by BarterXchange Asia with a special lunch discussion. The session will be held during the IRTA conference in Savannah, Georgia, on Tuesday, September 11. It�s a well-known challenge that each trade exchange has members/contacts that are large and typically have difficulty in matching their purchasing requirements with other members not of the same capacity. The objective of this session is to establish an international database of large organizations and multi-national corporations willing to conduct individual barter transactions in the range of US$20,000 to $500,000 or more. The database will not provide direct contact information, it is a networking/matching tool that will help facilitate putting corporate-sized deals together. Pre-registration is required to attend the session. Each attendee will need to submit three large traders that meet the range mentioned. Contact grace@barterxchange.com for your registration form. For information on the IRTA Convention go to top of page, �Site Sponsors� for click through link. BizXchange announced it has been honored as one of the Inc. 5,000, which is the first-ever list of fastest-growing private companies in the United States. The Inc. 5,000, an extension of Inc. magazine's annual Inc. 500 list, encompasses many businesses that are too big to grow at the pace required to make the Inc. 500. Taken as a whole, these companies represent the backbone of the U.S. economy. The 2007 Inc. 5,000 list (http://www.inc.com/inc5000) measures revenue growth from 2003 through 2006. To qualify, companies were required to be U.S.-based, privately held, independent (not subsidiaries or divisions of other companies), and having at least $200,000 in revenue in 2003 and $2 million in 2006. BizX views this award as evidence of their commitment to serve, improve, and grow their members' businesses. �The biggest factor in our growth is setting and achieving goals,� revealed CEO Bob Bagga. For more information on BizXchange see �Site Sponsors� at top of the page for click through link. Microsoft is investing further in online advertising by acquiring AdECN, Inc., an ad exchange based near Santa Barbara (CA). Founded in 2003, AdECN brings relevant technologies and domain expertise to the Microsoft team. AdECN's real-time auction marketplace for buying and selling display advertising is akin to that offered by Right Media, the company Yahoo agreed to buy outright for more than $680 million in April. Microsoft made its desire to break into online adverting clear in May when it placed a stunning bid to acquire aQuantive, which includes the ad network Atlas, for $6 billion. Also in May, Microsoft said it was acquiring European mobile advertising company ScreenTonic in a bid to expand its mobile expertise. ScreenTonic has relationships with some of the largest mobile providers in Belgium, France and the U.K. The firm currently markets an inventory of 80 million page impressions every month. The acquisition is expected to be completed in the first half of Microsoft's fiscal year 2008. AdECN, which has approximately 30 employees, will continue to operate from its California headquarters as part of Microsoft's Online Services Business.